It is a deep tragedy that intemperate remarks of those in authority are adding fuel to the fire. It is expected that those in high positions or those who are entrusted with complex issues act with maturity, fairness, objectivity and restraint. Clearly, the alleged 8th chapter of Srikrishna Committee was uncalled for. There cannot be secret reports in a public enquiry, except on matters relating to national security. I have only seen excerpts of the undisclosed report in the media. I have not gone through the document myself; but what appeared in the media, and the comments of the high court give us an inkling of it. We should unreservedly oppose such casual, improper and unethical comments on an extremely sensitive and serious issue. It is always a difficult decision as to when we should make public comment, and when to maintain silence. As it is, in a noisy and argumentative culture, a lot of cacophony prevails. There is a natural propensity in Lok Satta to refrain from adding more to the cacophony on a variety of issues in the country. Informed, balanced public debate is not the forte of our society or politics. Therefore, all of us who have limited energies should exercise enormous restraint and focus on core areas of national concern. Lok Satta is usually averse to saying the same thing which is being said by all, unless we add significant value. Dignified silence is not a sign of acquiescence; it is often an expression of quiet disapproval. However, SKC (if the committee has indeed endorsed the secret report) has done a great disservice to the nation, the state of Andhra Pradesh, and the people of Telangana. Lok Satta has always appealed to people with influence to act with dignity, restraint and fairness. The secret chapter has failed that test. Whatever be the underlying factors for dissatisfaction in Telangana region, and the fears in other regions, we have a very complex problem on our hands. When people view development, growth and prosperity as zero-sum issues, we always have fierce contention and deep distrust. We see that in respect of reservation; political representation; regional agitations; communal riots, and a host of other diversities which are part of India. Our federalism has matured a great deal over the past three decades. We have to find innovative solutions to accommodate the aspirations of all states and sub-regions, without stoking mistrust or fears. Our constitution is flexible, and our political system, despite the obvious flaws, is robust. It is our duty as enlightened citizens not to be apoplectic on sectarian issues, and help restore calm and push for a balanced, acceptable solution which strengthens our federalism, democracy and national unity. I am sure seemingly intractable problems can be resolved fairly through patience, empathy, dialogue, mutual understanding, and love for justice. Sadly, all over the world, and certainly in India, there is often a combination of arrogance and ignorance that makes people bigoted. Unreasonable pride in 'my dialect', 'my language', 'my culture', or 'my religion' often gives way to prejudice. The regions and groups which had earlier access to the tools of modernization often used their advantage to perpetuate a myth about the 'inadequacies' and 'cultural backwardness' of those who were not part of the modernization band wagon. However, many wise people have always rejected such unfounded notions of superiority in language, dialect, or culture. Nevertheless, when popular art is dominated by a certain dialect or cultural idiom, those who are left out feel genuinely aggrieved. Telengana has always been home to the richest Telugu indigenous (as opposed to the highly Sanscritized) vocabulary. But our popular films, media and literature have increasingly homogenized Telugu language and culture, and have lead to alienation and a sense of marginalization of the local dialects in Telangana and elsewhere. Language is the basis of communication and mutual understanding. 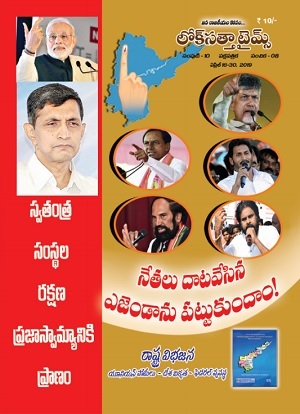 It is sad that language has become the source of discord between Telugu-speaking peoples of different regions. Someone said, Britain and the US are two nations separated by English language! Clearly, we all need to do a lot to bridge this gap, and remove the sense of discrimination and alienation. The government should use all its leverage to promote diversity in culture and dialect. But the media, popular art and literature have a far greater role than the government and politics in recognizing and respecting local cultures and dialects. Lok Satta has generally not ventured into issues which are largely beyond state control; because our core area of concern is governance reform and fulfillment of human potential. But we should recognize that often social or cultural challenges find expression in the political arena, and we have to deal with them with integrity and fairness. I urge all friends to help amicably resolve the crisis Andhra Pradesh is facing. Poverty, unfulfilled potential, avoidable suffering, hunger, disease, unemployment and corruption - all these scourges are non-denominational. In combating these humongous problems, we need to keep in mind at all times that we are all brothers, and we share a lot more than the small differences that keep us apart. Hatred, prejudice, arrogance, exploitation, and plunder in all forms should end, if we claim any semblance of humanity. At the end of the day, as individuals we all perish. But our society and civilization will live on. We need to cherish our diversity, even as we promote national unity. As a student of biology, anthropology and history, I find it impossible to harbour prejudice against any human being on grounds of caste, region, religion, language, or race. Even nationality cannot be source of discord in a civilized world. Too many of us are swayed by the swift currents of emotion. What we need is the placid calm of the deep high sea. I urge all friends to vigorously debate these issues. But at all times we need to talk to each other, not shout at each other. We need to respect diversity of opinions without being judgmental. Above all, we need to recognize that beneath the veneer, we are all one, and we share common goals and aspirations. I am sure frank exchange of views and reasoned debate will help us bridge the unfortunate chasm that has developed in recent times between well-meaning and compassionate people speaking the same language and proudly sharing the same history and culture. A satisfactory solution to the vexed problems plaguing us can be found if we are patient and fair to each other. Telangana State is the only solution ... Hyderabad can be shared as common capital for a period of 10 to 15 years including the sharing the revenue... Hyderabad as on 2004 January 1st ... not the current Greater Hyderabad!! చిన్నపుడు ఇన్న ఏడు చాపల కథ గుర్తుకు వస్తుంది కదా? ఇన్ని రోజుల డ్రామా.. కుట్ర కమిటీ.. దామోదర్ లాంటి ద్రోహులకు పదవులు..
మండలి మంటలు! గుండె భగ్గున మండుతుంది! తెలంగాణా రాజీనామాలతో, డైలాగుల తోటి రాదు! రాదు! రాదు! చేవిటోని ముందు శంకం ఊదినట్టే..పాలన స్తంబింప చేయండి..రవాణ ని దిగ్బంధం చేయండ్రి..కాళ్ళు పట్టుకుంటే తెలంగాణా వస్తదా..ద్రోహుల ఆర్థిక వ్యవస్తలని కూల దోయ్యండ్రి! ఎన్ని కుట్రలు పన్నినా ప్రజలు ఉద్యమాన్ని మోస్తనే ఉంటారు. మరికొన్ని పానాలు అంతే. మా వొల్లె డేడ్ లైన్లు గీస్తారు ఒక్కొక్కడికి.. యుద్ద భూమిలో దిగండి..ఉద్యమాన్ని రగిలించండి..లేక పొతే తెలంగాణా ల తిరగ లేదు. మాకొద్దు ఈ చాతగాని రాజ కీయాలు. Samuel Jhonson once Said "Patriotism is the last refuge of the scoundrel", Call me a bigot but 'my dialect', 'my language', 'my culture', Comes for Me before 'My Country'. And anyway it is Andhra Chauvinists who are Spreading "My Language" "MY Culture" through their so called Telugu Atmagavuravam Stategy. 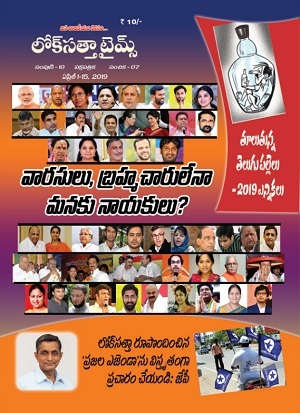 They (Seema-Andhra) are now reduced to making their presence and brutality known by stomping on minorities (Telangana) that can’t fight back, and, like the idiot, making asinine and propagandistic statements about their own magnificence and beneficence (Telugu Atmagavuravam and Samaikya Andhra). Even after such toil people from Telangana are left at the mercy of Seema-Andhra people. The Govt must act without prejudice and do justice to Telangana.